I’m so excited today to be letting out the secrets to my St Ives gluten free guide! 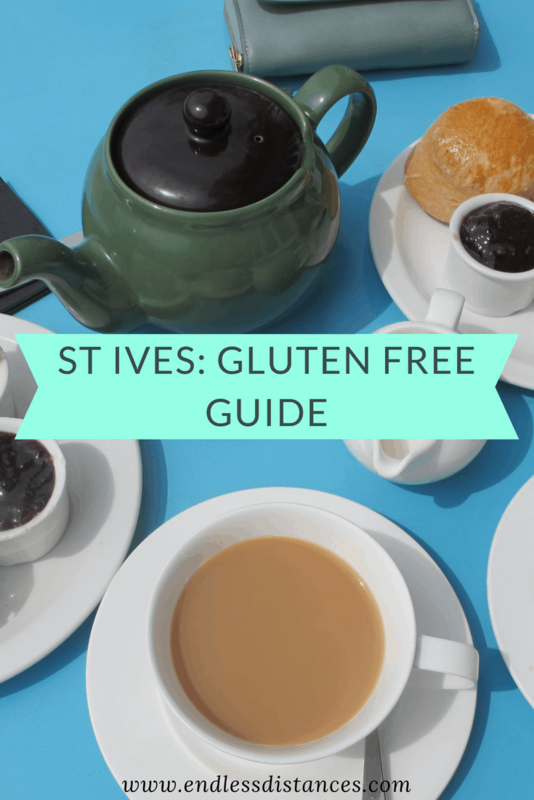 I’ve made it pretty clear in the past that I love St Ives, but we all know that the way to my heart is through my stomach, so let’s get down to the truth: St Ives is a gluten free mecca! I love writing gluten free guides, but I only do it once in a while for a couple reasons: I know it only affects some of my readers, AND I really like to get to know a place’s ins and outs before I act like an expert on its gluten free spots. Well, I’ve spent four years “experimenting” (read: scarfing down scones, crepes, and pizza) in St Ives, so I figured my St Ives gluten free guide was long past due! 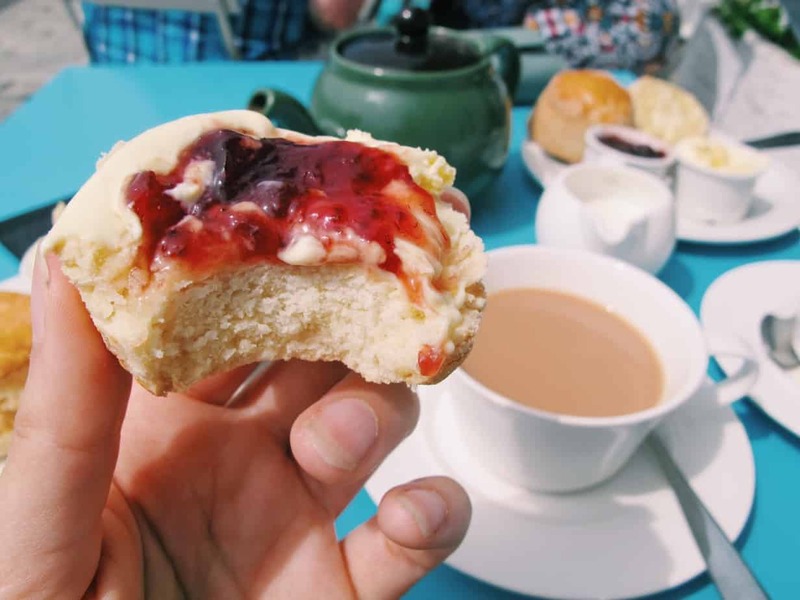 The yummiest GF scones in St Ives – sit on the harbour at the Searooms! The Searooms (formerly known as the Tea Room I believe?) is located along the main harbor with some cute chairs outside right over the beach! It’s gorgeous inside as well. Most things on the menu can be made gluten free, including SCONES! I’ve had afternoon tea here a couple times, and a gluten free cheese board (with GF scone) and each time I haven’t been disappointed! Pels is also located along the harbor but really just looks like an unassuming takeaway shack from the outside. Inside there’s a takeaway counter and a few tables/chairs. However its size doesn’t detract from the AMAZING food! To be honest, even though it’s the most underrated of the gluten free St Ives restaurants, Pels has to be my favorite. They serve gluten free pizza AND crepes (for eat in or take away). And I have tested most flavors of both…. Perhaps the most luxurious hotel in St Ives, Pedn Olva also has its own restaurant, so you don’t need to stay here to eat! The waiters are aware of gluten free dietary requirements and were able to advise me at dinner of what was naturally gluten free on the menu. They also served gluten free cereal and bread with breakfast as we told them ahead of time I was gluten free – however this was the breakfast offered to hotel guests. I definitely recommend popping into Pedn Olva just for the views! Porthminster Beach Cafe is SO special and probably the most lauded restaurant in all of St Ives. It is located RIGHT on Porthminster beach, hence the name, with an open balcony that also has heat lamps and blankets in the winter. The servers here are aware of gluten free requirements and can notify you of naturally GF menu items, or modify dishes. Actually, as most of the dishes are made from local vegetables or fish you will find that the majority of the menu is naturally GF anyway. A visit to St Ives isn’t complete without popping into the Porthminster Beach Cafe. Moomaid of Zennor is not only the most famous ice cream in St Ives (the cream is from local, sustainably farmed cows) but… THEY HAVE GLUTEN FREE CONES!!!! I hadn’t had an ice cream cone in four years, and then I discovered this place. I definitely recommend a visit. Need another reason to visit St Ives? If gluten free pizza, crepes, ice cream cones, and more aren’t enough to convince you to pay St Ives a visit, then take a look at these photos. Or check out my St Ives day trip photo journal here!